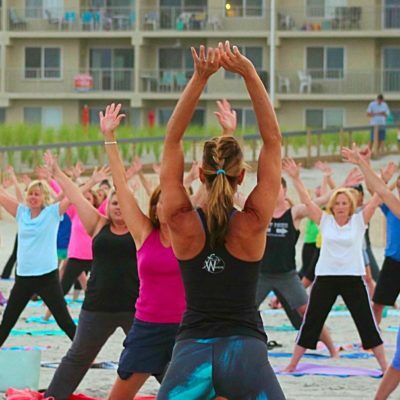 Announcing the first annual Full Circle Wellness Retreat sponsored by JuiceFresh at the luxurious Avenue Inn and Spa in downtown Rehoboth Beach located just one block from the boardwalk and named one of the “Top 10 Most Popular Beach Destinations”*. Your Full Circle Wellness Retreat will include valuable curated information presented by a select group of presenters in an up-close & personal environment designed to enhance your understanding of healing sources while informing you in a relaxing atmosphere of personal wellness. Are you interested in learning from top speakers about the advantages of a plant-rich diet, the power of CBD oil and its impact on your ECS (Endocannabinoid System)? Are you looking to unlock deeper motivations for building and maintaining a stronger core and improving gut health to empower your future? Participants will enjoy being treated to a complementary collection of spa treatments delivered by the professional team at the Avenue Apothecary & Spa during our Progressive Spa Circle. A leading day spa, the Apothecary incorporates an organic, natural and unique educational experience for their clients and specific times will be allowed for retreat participants to enjoy their additional private, customized spa experience conveniently on-site. You will enjoy personally prepared meals throughout the retreat. From healthy snacks to breakfasts and lunch, nutritional abundance is at the center of your Full Circle Wellness experience. You will enjoy delicious organic fare prepared for you, including the highlight Keynote Dinner where an unbroken circle of fellowship will be enjoyed by all as we receive a powerful message reminding everyone that Health Is Wealth! Attendance is limited to 50 participants! Make your reservation today at www.JuiceFresh.net or call us at (844) Juice Now [(844) 584-2366] or email us at info@juicefresh.net for more information.